Welcome to the website of sebastiansports.com ("SEBASTIANSPORTS.COM") (hereinafter, the "Website") and thank you, the visitor ("You") for reviewing our Terms and Conditions of Use. We hope that You will enjoy this Website. SEBASTIANSPORTS.COM makes this Website, including all information, documents, communications, files, text, graphics, software, and audio/visual files (collectively, the "Service") available for Your use but only subject to the Terms and Conditions of Use set forth below. The Terms and Conditions of Use spell out what You can expect from us and what we expect from You. BY USING THIS WEBSITE AND/OR CREATING AN ACCOUNT OR ACCESSING OR VIEWING OUR SERVICE, YOU ACCEPT AND AGREE TO ALL TERMS, CONDITIONS AND NOTICES CONTAINED OR REFERENCED ON THE WEBSITE (HEREINAFTER, THE "TERMS AND CONDITIONS OF USE"). PLEASE READ THESE TERMS AND CONDITIONS OF USE CAREFULLY. IF YOU DO NOT AGREE TO THE TERMS AND CONDITIONS OF USE, DO NOT USE THIS WEBSITE OR ANY SERVICE FROM THE WEBSITE. BY ACCESSING, USING, OR DOWNLOADING IN ANY WAY, WITHOUT LIMITATION, ANY SERVICE FROM THIS WEBSITE, OR MERELY BROWSING THIS WEBSITE, YOU AGREE TO AND ARE BOUND BY THESE TERMS AND CONDITIONS OF USE. YOU AGREE THAT ANY USE OF THE SERVICE BY YOU IS FOR NEWS, INFORMATIONAL AND ENTERTAINMENT PURPOSES ONLY AND ANY USE OF THE SERVICE IN VIOLATION OF ANY FEDERAL, STATE OR LOCAL LAWS IS PROHIBITED AND YOU HOLD SEBASTIANSPORTS.COM AND ITS SERVICE PROVIDER HARMLESS FROM ANY LIABILITY ARISING FROM YOUR PROHIBITED USE OF THE SERVICE. SEBASTIANSPORTS.COM reserves the right to change the Terms and Conditions of Use at any time, without prior notice to any Website visitor. For this reason, we encourage You to review these Terms and Conditions of Use whenever You use our Website. If You breach any of the Terms and Conditions of Use, your authorization to use this Website automatically terminates without any further notice to You. To be eligible to register and create an authorized account ("Account"), You must be at least the age of majority in the applicable jurisdiction. By using this Website and Service, You represent and/or warrant that You have the right, authority and capacity to enter into this agreement and to abide by all of these Terms and Conditions of Use. SEBASTIANSPORTS.COM reserves the right, in its sole and absolute discretion, to refuse Service and access to any visitor. 3. Local Laws, Service Not Available in Some Jurisdictions. You are subject to the laws of the country, state, province, city or other legal entity (collectively "Jurisdiction") in which You reside and/or from which You access the Website and the Service. Access to the Website may not be legal for some or all residents of, or persons present in, certain Jurisdictions. Additionally, different Jurisdictions have different age of majority restrictions. It is Your responsibility to determine the law that applies in the applicable Jurisdiction and SEBASTIANSPORTS.COM does not make any representation or warranty, express or implied, as to the lawfulness of Your participation in or use of Service on this Website are appropriate for use in Your Jurisdiction. If You open an account and/or participate in or access the Service offered on the Website or simply browse the Website while located in a prohibited Jurisdiction, You will be in violation of the law of such Jurisdiction and these Terms and Conditions of Use, and you will be subject to having Your Account or Your future use of the Website suspended or terminated. When you create Your Account or purchase any products or services from this site, You represent that You are at least twenty-one (21) years of age and are not a person barred from receiving services under the laws of the United States or the age of majority in any other applicable Jurisdiction. You agree to (a) provide true, accurate, current and complete information about yourself as prompted by the Service's order form (the "Order Data") and (b) maintain and promptly update the Order Data to keep it true, accurate, current and complete. If You provide any information that is untrue, inaccurate, not current or incomplete, or SEBASTIANSPORTS.COM has reasonable grounds to suspect that such information is untrue, inaccurate, not current or incomplete, SEBASTIANSPORTS.COM has the right to suspend or terminate Your Account and refuse any and all current or future use of the Service (or any portion thereof). You are responsible for paying all fees and charges (plus applicable taxes) associated with the use of the Service under Your Account, including fees or charges incurred for premium features or options and payment for purchases made through the Service. If you are given confidential information or identifiers for Your Account ("Identifiers"), it is Your responsibility to keep these Identifiers secure and confidential. Some or all of these Identifiers are required to access certain information. In the event that You are concerned that Your Identifiers are no longer secure and confidential, You should immediately notify SEBASTIANSPORTS.COM by sending an e-mail to info@sebastiansports.com, whereupon new Identifiers may be selected and allocated and any future transactions under the previous Identifiers may be voided, at the sole discretion of SEBASTIANSPORTS.COM. Without limiting the foregoing, any transactions made and accepted on the Website where Your Identifiers have been used (and where You have not previously notified SEBASTIANSPORTS.COM as provided herein) will be treated as valid. Under no circumstances shall You allow or permit any other person or third party, including without limitation any person under the legal age to use the Service in Your applicable Jurisdiction, and in no event any person under the age of majority, to use or re-use Your Account or Your Identifiers in such a way that may breach the standards or laws in any Jurisdiction where You are located and/or are a resident, or where such other person is located and/or is a resident. Any person found to have violated this section may be reported to the relevant authorities. You are responsible for paying all fees and charges (plus applicable taxes) associated with the use of the Service under Your Account, including fees or charges incurred for premium features or options and payment for purchases made through the Service. Unless otherwise stated, (i) payment of all fees and charges must be made by a valid, approved credit, debit or charge card at the time of purchase; and (ii) all fees and charges (including subscription fees) are non-refundable. You agree that any purchases made by You via credit card are specifically authorized to be charged to the credit card given by You at the time of purchase. All Service and the compilation of all content included on this Website that are owned or licensed by SEBASTIANSPORTS.COM are protected by United States and international copyright laws. SEBASTIANSPORTS.COM does not claim ownership of copyrights owned by third parties that may appear on this Website. You have been granted a limited license to view and use the Service subject to these Terms and Conditions of Use. Unless otherwise specified, the Service on this Website is for Your personal and non-commercial use. You may not sell or modify the Service or reproduce, display publicly or otherwise use the Service in any way for any public or commercial purpose. Permission to reprint or electronically reproduce any document or graphic, in whole or in part, for any other purpose is expressly prohibited without prior written consent from SEBASTIANSPORTS.COM. Users may not provide copyrighted or other proprietary information to SEBASTIANSPORTS.COM without permission from the owner of such material or rights. Users are solely responsible for obtaining such permission and for any damages resulting from unauthorized disclosures or infringement. SEBASTIANSPORTS.COM owns trademarks and service marks for its many goods and services and all of its Website and the content therein, and the associated graphics, logos and service marks that are trademarks of SEBASTIANSPORTS.COM may not be used without prior written consent of SEBASTIANSPORTS.COM. All other trademarks, product names, and company names and logos appearing on the Website are the property of their respective owners. All comments, feedback, suggestions, ideas, and other submissions ("Ideas") disclosed, submitted, or offered to SEBASTIANSPORTS.COM in connection with Your use of this Website shall be the exclusive property of SEBASTIANSPORTS.COM. User agrees that unless otherwise prohibited by law SEBASTIANSPORTS.COM may use, sell, exploit and disclose the Ideas in any manner, without restriction and without compensation to User. Any software downloaded, or embedded in the Site or installed is made available to You pursuant to the same terms as set forth herein. User expressly agrees that use of the Website and Service is at User's sole risk. Neither SEBASTIANSPORTS.COM nor any of its officers, directors, or employees, agents, service providers, merchants, sponsors, licensors, component suppliers (both hardware and software), and/or any third party who provides products or services purchased from or distributed by SEBASTIANSPORTS.COM, or the like, warrant that websites affiliated with SEBASTIANSPORTS.COM, including but not limited to this Website, will be uninterrupted, error-free, or free of viruses, worms, Trojan horses, keyboard loggers, spyware, adware, malware, harmful or malicious code, or other defects. The information, products and services published on this Website may contain inaccuracies or typographical errors. SEBASTIANSPORTS.COM makes no warranty as to the results that may be obtained from the use of the Website or as to the accuracy, reliability, or currency of any information content, Service, or merchandise provided through the Website. Furthermore, SEBASTIANSPORTS.COM shall not be responsible for any opinions, views, advice or statements posted on the Website (including, without limitation, in any public posting areas of the Website) by any person or entity. At no time should the opinions, views, advice or statements provided by advertisers, content providers, guests, independent writers or experts be relied upon for important personal decisions without independent verification. SEBASTIANSPORTS.COM is not responsible for any decisions made, financial or otherwise, based on information or links provided by SEBASTIANSPORTS.COM. The information available on the Website is for news, informational and entertainment use only. Any use of the information provided in the Website which is in violation of any federal, state, provincial or local law is strictly prohibited. SEBASTIANSPORTS.COM expressly does not take any responsibility for how You make use of the information provided in the Website. Information on this Website may be provided by third parties. Such third parties are independent contractors to SEBASTIANSPORTS.COM and are therefore responsible for their own marketing information, specks information and, therefore, SEBASTIANSPORTS.COM is expressly NOT liable for any inaccuracies or any misrepresentations which may be continued therein. The opinion, editorials and any other information provided on the Website by the above-noted independent contractors are not necessarily these of SEBASTIANSPORTS.COM. WE DO NOT WARRANT OR GUARANTEE ANY RESULT FROM THE USE OF THIS WEBSITE OR ANY SERVICE. THIS WEBSITE, INCLUDING THE SERVICE AND SOFTWARE (IF ANY), IS PROVIDED BY SEBASTIANSPORTS.COM ON AN "AS IS" AND "AS AVAILABLE" BASIS. TO THE FULLEST EXTENT PERMISSIBLE BY APPLICABLE LAW, SEBASTIANSPORTS.COM DISCLAIMS ALL IMPLIED WARRANTIES, INCLUDING BUT NOT LIMITED TO, IMPLIED AND STATUTORY WARRANTIES OF MERCHANTABILITY, FITNESS FOR A PARTICULAR PURPOSE, AND NON-INFRINGEMENT OF PROPRIETARY RIGHTS. SEBASTIANSPORTS.COM AND ITS SERVICE PROVIDER MAKE NO REPRESENTATIONS OR WARRANTIES OF ANY KIND, EXPRESS OR IMPLIED, AS TO THE OPERATION OF THE WEBSITE, SECURITY OF THE WEBSITE, THE AVAILABILITY OF ANY GOODS OR SERVICES OFFERED ON OR THROUGH THE WEBSITE, INCLUDING E-MAIL, OR THE INFORMATION, CONTENT, MATERIALS OR PRODUCTS, INCLUDED ON THIS WEBSITE. ANY SERVICE OR SOFTWARE DOWNLOADED OR OTHERWISE OBTAINED THROUGH THE USE OF THE WEBSITE IS DONE AT YOUR OWN DISCRETION AND RISK AND THAT YOU WILL BE SOLELY RESPONSIBLE FOR ANY DAMAGE TO YOUR COMPUTER SYSTEM OR LOSS OF DATA THAT RESULTS FROM THE DOWNLOAD AND/INSTALLATION OF ANY SUCH MATERIAL. SOME STATES OR OTHER JURISDICTIONS DO NOT ALLOW THE EXCLUSION OF IMPLIED WARRANTIES, SO THE ABOVE EXCLUSIONS MAY NOT APPLY TO YOU. A SMALL PERCENTAGE OF USERS MAY EXPERIENCE EPILEPTIC SEIZURES WHEN EXPOSED TO CERTAIN LIGHT PATTERNS OR BACKGROUNDS ON A COMPUTER SCREEN OR WHILE USING THE SERVICE. CERTAIN CONDITIONS MAY INDUCE PREVIOUSLY UNDETECTED EPILEPTIC SYMPTOMS EVEN IN USERS WHO HAVE NO HISTORY OF PRIOR SEIZURES OR EPILEPSY. IF YOU, OR ANYONE IN YOUR FAMILY, HAVE AN EPILEPTIC CONDITION, CONSULT YOUR PHYSICIAN PRIOR TO USING THE SERVICE. IMMEDIATELY DISCONTINUE USE OF THE SERVICE AND CONSULT YOUR PHYSICIAN IF YOU EXPERIENCE ANY OF THE FOLLOWING SYMPTOMS WHILE USING THE SERVICE: DIZZINESS, ALTERED VISION, EYE OR MUSCLE TWITCHES, LOSS OF AWARENESS, DISORIENTATION, ANY INVOLUNTARY MOVEMENT, OR CONVULSIONS. SEBASTIANSPORTS.COM AND ITS SERVICE PROVIDER DO NOT GUARANTEE THE CONTINUOUS, UNINTERRUPTED OR SECURE ACCESS TO THE WEBSITE OR ANY RELATED SERVICES. THE OPERATION OF THE WEBSITE MAY BE INTERFERED WITH BY NUMEROUS FACTORS OUTSIDE THE CONTROL OF SEBASTIANSPORTS.COM AND ITS SERVICE PROVIDER. YOU EXPRESSLY UNDERSTAND AND AGREE THAT SEBASTIANSPORTS.COM AND ITS SERVICE PROVIDER WILL NOT BE LIABLE FOR ANY DAMAGES OF ANY KIND ARISING FROM THE USE OF OR INABILITY TO USE THIS WEBSITE, SOFTWARE (IF ANY), OR ANY RELATED SERVICES, INCLUDING, BUT NOT LIMITED TO, DIRECT, INDIRECT, INCIDENTAL, CONSEQUENTIAL, SPECIAL, EXEMPLARY, AND PUNITIVE DAMAGES WHETHER SUCH CLAIM IS BASED ON WARRANTY, CONTRACT, TORT (INCLUDING NEGLIGENCE), OR OTHERWISE (EVEN IF SEBASTIANSPORTS.COM HAS BEEN ADVISED OF THE POSSIBILITY OF SUCH DAMAGES). THE LIMITATION OF THIS PARAGRAPH SHALL APPLY NOTWITHSTANDING ANY RELIANCE BY A USER ON ANY INFORMATION OBTAINED FROM THIS WEBSITE OR THAT RESULT FROM MISTAKES, OMISSIONS, INTERRUPTIONS, DELETION OF FILES OR E-MAIL, ERRORS, DEFECTS, VIRUSES OR OTHER MALICIOUS CODE, DELAYS IN OPERATION OR TRANSMISSION, OR ANY FAILURE OF PERFORMANCE, WHETHER OR NOT RESULTING FROM ACTS OF GOD, COMMUNICATIONS FAILURE, THEFT, DESTRUCTION, OR UNAUTHORIZED ACCESS TO SEBASTIANSPORTS.COM'S RECORDS, PROGRAMS, OR SERVICES, AND WHETHER OR NOT SEBASTIANSPORTS.COM HAS BEEN ADVISED OF THE POSSIBILITY OF SUCH DAMAGES. USER HEREBY ACKNOWLEDGES THAT THIS PARAGRAPH SHALL APPLY TO ALL CONTENT, MERCHANDISE, AND SERVICES AVAILABLE THROUGH THE WEBSITE. SUCH LIMITATION OF LIABILITY SHALL APPLY WHETHER THE DAMAGES ARISE FROM USE OR MISUSE OF AND RELIANCE ON SEBASTIANSPORTS.COM 'S GOODS OR SERVICES, FROM INABILITY TO USE SEBASTIANSPORTS.COM 'S GOODS OR SERVICES, OR FROM THE INTERRUPTION, SUSPENSION, OR TERMINATION OF SEBASTIANSPORTS.COM 'S SERVICES (INCLUDING SUCH DAMAGES INCURRED BY THIRD PARTIES).SOME STATES OR OTHER JURISDICTIONS DO NOT ALLOW THE EXCLUSION OR LIMITATION OF LIABILITY FOR INCIDENTAL OR CONSEQUENTIAL DAMAGES, SO THE ABOVE LIMITATIONS AND EXCLUSIONS MAY NOT APPLY TO YOU. IF YOU ARE DISSATISFIED WITH ANY PORTION OF THE WEBSITE, YOUR SOLE AND EXCLUSIVE REMEDY IS TO DISCONTINUE YOUR USE OF THIS WEBSITE. User agrees to use the Website and the Services provided through this Website only for lawful purposes. Unacceptable uses of the Website include without limitation: (i) engaging in any illegal activity or the planning of any illegal activity; (ii) disseminating or transmitting statements or material that, to a reasonable person, may be abusive, obscene, hateful, pornographic, defamatory, harassing, grossly offensive, vulgar, threatening or malicious; (iii) creating, disseminating or transmitting files, graphics, software or other material that actually or potentially infringes the copyright, trademark, patent, trade secret, publicity or other intellectual property rights of any person; (iv) creating a false identity or otherwise attempting to mislead any person as to the identity or origin of any communication; (v) exporting, re-exporting or permitting the downloading of any Service, software or content in violation of any export or import law, regulation or restriction of the United States or Canada and their agencies or authorities, or without all required approvals, licenses or exemptions; (vi) interfering, disrupting or attempting to gain unauthorized access to other Accounts on the Website or any other computer network; (vii) disseminating or transmitting viruses, worms, Trojan horses, Remote Access Trojans (RATs), keyboard loggers, time bombs, spyware, adware, cancelbots or any other malicious or invasive code or program; or (viii) engaging in any other activity deemed by SEBASTIANSPORTS.COM to be in conflict with the spirit or intent of this Website. User acknowledges and agrees that User shall not circumvent or attempt to circumvent any of these Terms and Conditions of Use, the Service offered through this Website or otherwise interrupt or attempt to interrupt the operations of the Website (collectively, a "Circumvention Act"). If SEBASTIANSPORTS.COM or its service provider determines, in its sole discretion, that User has engaged, or attempted to engage, in any Circumvention Act, use automated technology or otherwise commit fraud with regard to the Website, then, in such an event, User will be subject to suspension or termination of User's access to the Website and/or Service, and SEBASTIANSPORTS.COM and its service provider reserves the right to institute civil or criminal proceedings against User and to report User to the relevant regulatory authorities. These Terms and Conditions of Use are effective until terminated by either party. User may terminate these terms at any time by discontinuing use of the Website. User's access to the Website may be terminated immediately without notice from SEBASTIANSPORTS.COM if in our sole discretion User fails to comply with any term or provision of these Terms and Conditions of Use. If You use this Website, You are responsible for restricting access to Your computer and ensuring that Your computer is free from all types of malicious code, spyware, viruses, Trojans, etc. that may track any data You enter via this Website, including e-mail address, credit card number, and other payment related information. In addition, (and if applicable) You are responsible for maintaining the confidentiality of Your SEBASTIANSPORTS.COM account ("Account") and password and for restricting access to Your computer, and You agree to accept responsibility for all activities that occur under Your Account or password. You agree to (a) immediately notify SEBASTIANSPORTS.COM of any unauthorized use of Your password or Account or and other breach of security, and (b) ensure that You exit from Your Account at the end of each session. SEBASTIANSPORTS.COM cannot and will not be held liable for any loss or damage arising from Your failure to comply with this section. SEBASTIANSPORTS.COM and its service provider each reserves the right to monitor all network traffic to this Website to identify and/or block unauthorized attempts or intrusions to upload or change information or cause damage to this Website in any fashion. Anyone using this Website expressly consents to such monitoring. You agree to defend, indemnify and hold harmless SEBASTIANSPORTS.COM and its subsidiaries, agents, managers, service providers, licensors, content providers and other affiliated companies, and their employees, contractors, agents, officers and directors from and against all liabilities, actions, claims and expenses, including legal fees arising out of or relating to: (a) Your use of the Website or the Service, including any data or work transmitted or received by You or any service provider; (b) any other party's access and use of the Website or the Service with Your unique Identifiers; (c) Your connection to SEBASTIANSPORTS.COM's site; (d) Your violation of these Terms and Conditions of Use; (e) Your violation of any sports betting regulations, edicts or laws to which You are subject; or (f) Your violation of any rights of a third party or service provider. The failure of SEBASTIANSPORTS.COM to require or enforce strict performance by User of any provision of these Terms and Conditions of Use or to exercise any right under them shall not be construed as a waiver or relinquishment of SEBASTIANSPORTS.COM 's right to assert or rely upon any such provision or right in that or any other instance. As required by California Code Section 1789.3, this notice is to advise You that (a) this Website is a service provided by SEBASTIANSPORTS.COM and SEBASTIANSPORTS.COM can be contacted at sebastiansports.com c/o PAYWIRE Incorporated, 56 Arbor Street, Suite 418, Hartford, CT telephone number (888) 799-2914, and that (b) the fees and charges for the Service vary depending on the particular features and services selected by the User. 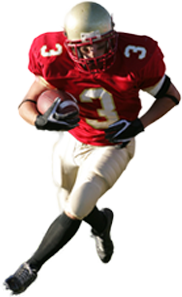 SEBASTIANSPORTS.COM reserves the right to change the amount of any fee or charge and to institute new fees or charges, effective on reasonable notice to the Users of the Service. If You have a complaint regarding the Service or desire further information on use of the Service, contact SEBASTIANSPORTS.COM by telephone at (888) 799-2914. For complaints, You may also contact the Complaint Assistance Unit of the Division of Consumer Services of the Department of Consumer Affairs in writing at 400 "R" Street, Sacramento, California 95814 or by telephone at 1-916-445-1254. Date Last Modified: January 23, 2008.